I sat at the tour office for a long time, contemplating with the staff if I should do the summit climb of the Cotopaxi volcano. It wasn’t the physical challenge that deterred me. 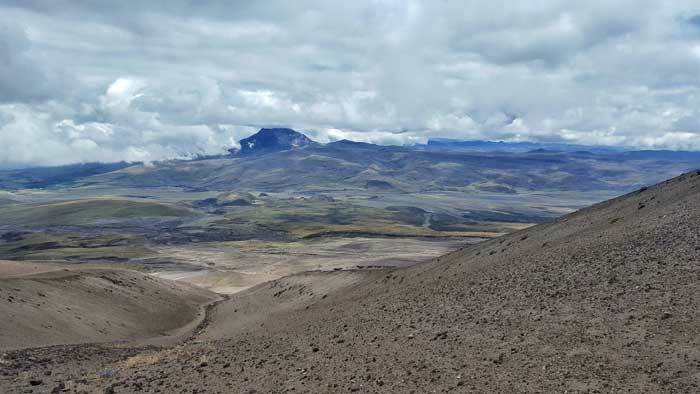 Nor the altitude – Cotopaxi is the 2nd highest summit in Ecuador at 5897m. See, Cotopaxi is one of the world’s highest active volcano and it erupted 2 years ago, after being dormant since 1942. 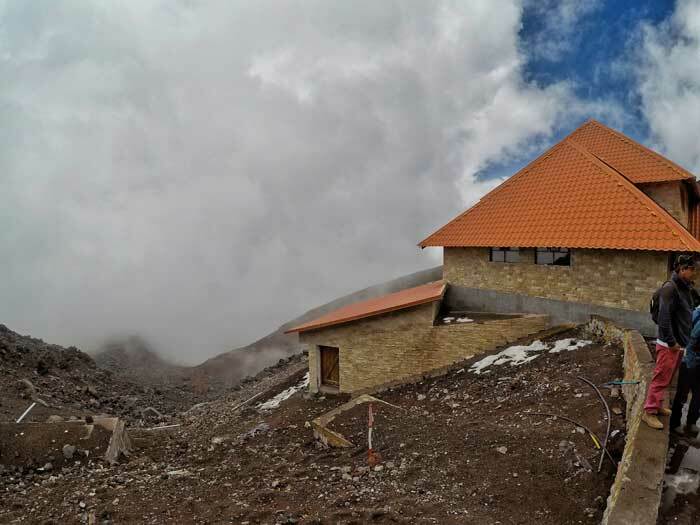 Even though the summit received the green light and reopened last month (after being closed for 2 years), there were still reports of sulphur emission. I can be defeated by the toughness but not by a gas. I decided to do the day trip to the glacier line instead. The tour bus brought us through the hectic traffic of Quito to our breakfast stop, and then to the Cotopaxi National Park, 50km south of Quito. 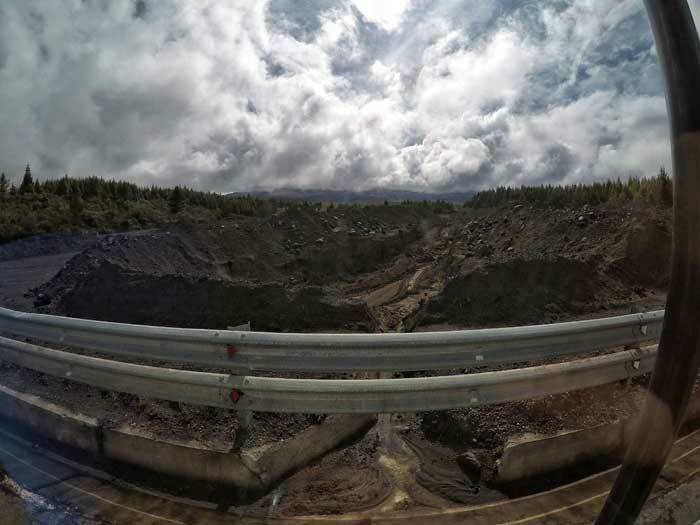 As we drove through the park, our guide pointed out to the lava remnants along the road – a grim reminder of the eruption that damaged the area. Cotopaxi was shy that day; hiding behind the clouds and sneaking a few peaks every so often. We stopped at a small museum near the entrance of the park where our guide gave a brief introduction about the volcano, the park and the animals in the area. 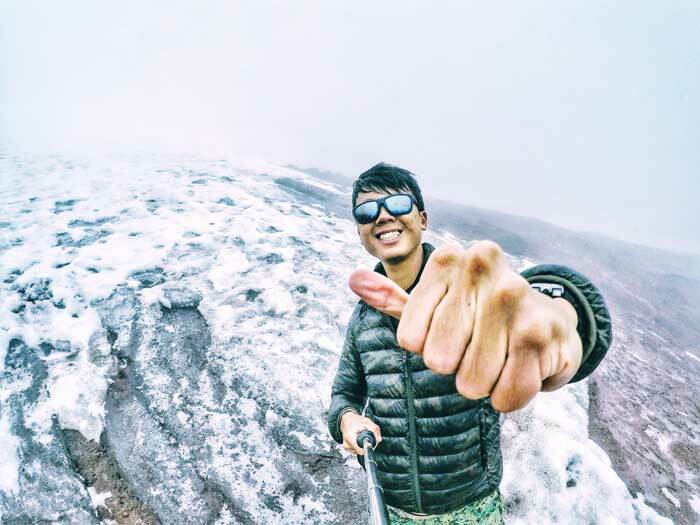 Due to its almost symmetrical cone shaped peak, and covered in a thick blanket of snow and ice, Cotopaxi is one of the highlights of Ecuador. It is, in fact, the most visited and climbed volcano in the country. The eruption 2 years ago severely disrupted tourism to the region. That is perhaps why the government gave the greenlight so soon to reopen the summit: to bring back the tourist dollars. 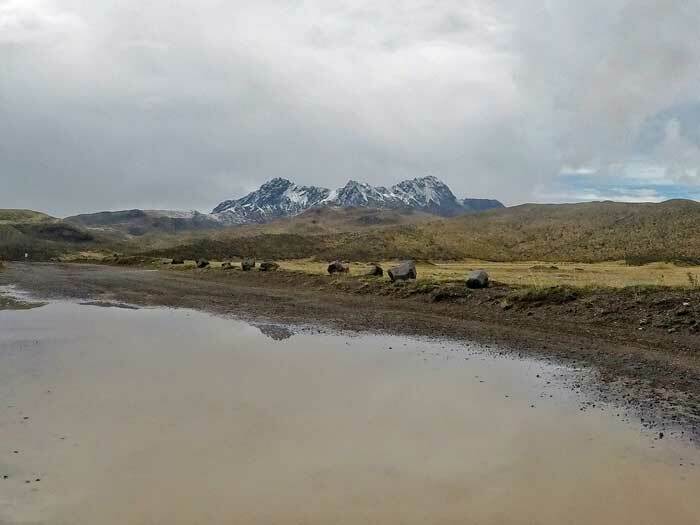 We drove to the carpark at 4500m and began our climb up to the refuge. At 4500m, it was cold. I wore my beanie and put on gloves – friends that I’ve not met for a couple of months. 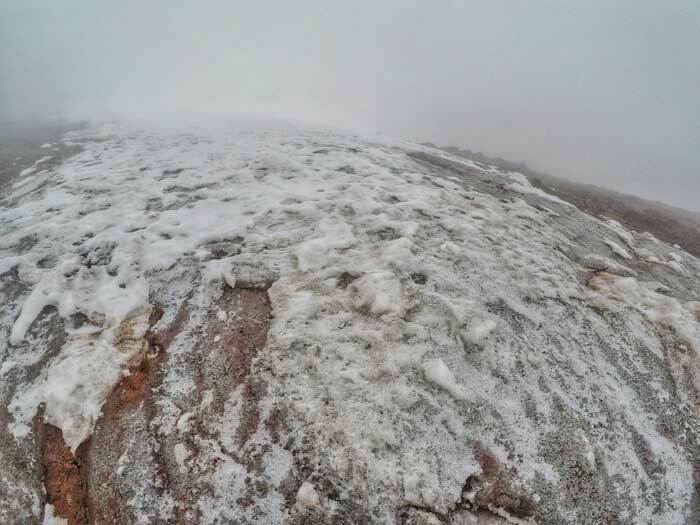 The walk up the reddish-brown, sandy scree switchback slope generated enough body heat to keep me warm. 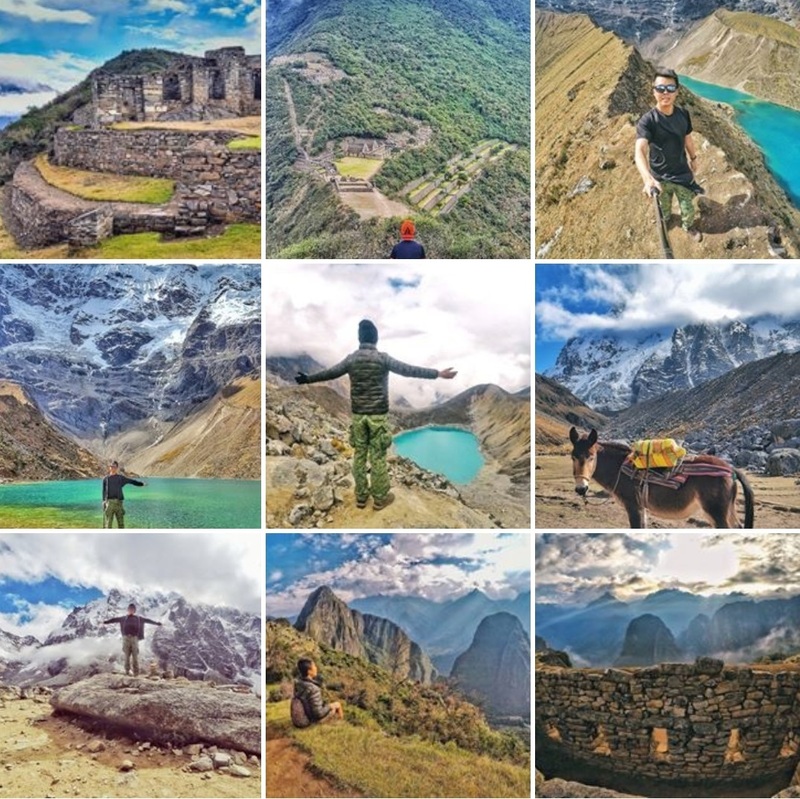 I was used to the altitude, having been in the highlands of Peru for so long, but my groupmates were not as acclimatized. We stopped every few minutes to wait for them and those were the moments I took to appreciate the beauty of the surroundings. The national park was vast yet empty. The green of the field plains contrasted with the grey of the mountains; nature without life, beautiful yet a little unsettling. 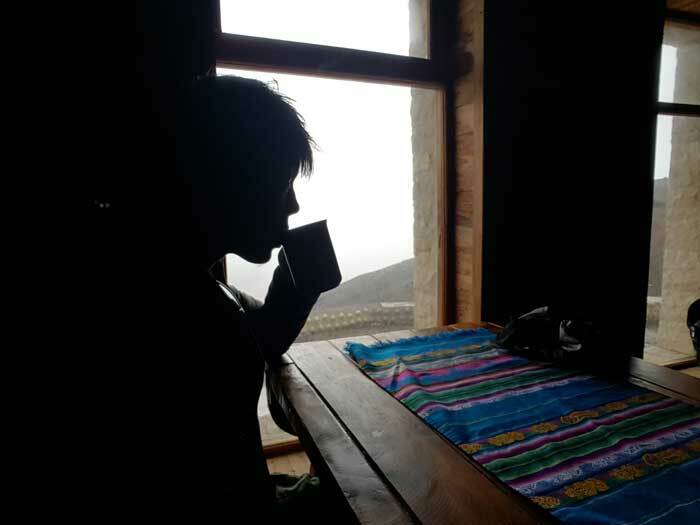 We reached the refuge at 4864m under an hour, just as the sky opened up. It wasn’t rain, but hail, that fell upon us. It got heavy real fast and our vision was hindered. We entered the refuge for a snack break. Having a hot chocolate while it’s snowing outside has got to be the best feeling ever! 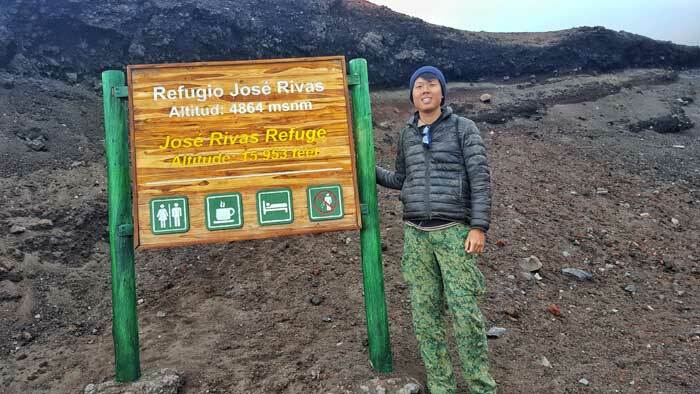 It felt anti-climatic walking up to the refuge. It was a pretty chill and short walk. If this was the end of the tour, I’d be disappointed. 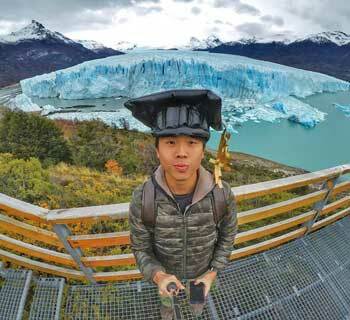 Thankfully, our guide told us we could carry on to the glacier. The hail subsided and we continued. I noticed how the landscape changed beyond the refuge. 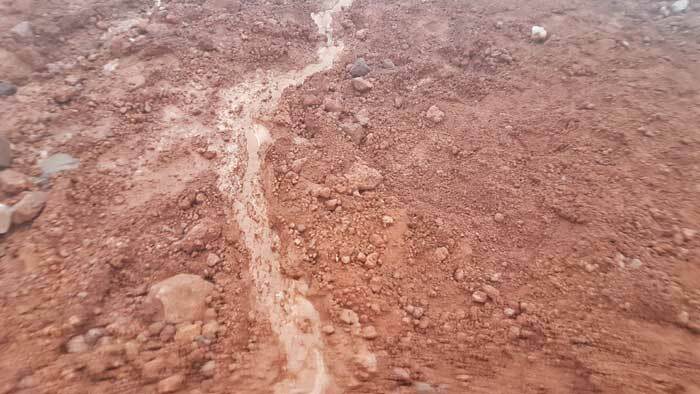 The trail got steeper, more uneven and redder – like what we’d expect to see on Mars. 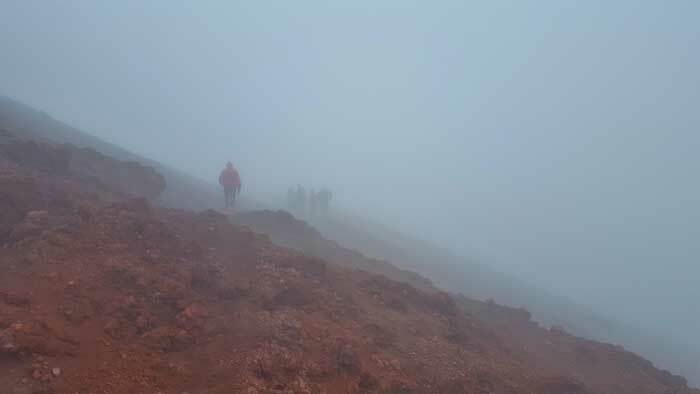 The clouds blanketed us and vision was so bad we couldn’t see more than 10m ahead. As we got closer to 5000m, I felt it. My head started to hurt a little – just a little. It was at this point I was glad I didn’t sign up for the summit climb. Maybe I’m not ready for it yet. Then, we saw it. The line that separated red from white - the glacier line. The glacier – in 2017 – looked pathetic. It wasn’t a wall, cave, or anything tall that I expected. It was just a sheet of ice. Our guide explained this was due to climate change. If you see photos of it 10 years ago, it was a different image. Walking around the area was impossible. It was so steep and slippery I finally understood why crampons are needed for the summit. In fact, I slipped and fell and slid a good 10s down the mountain and created a mini-river of falling rocks and glacier water. “You should call it the Owen River,” said one guy from my group. We took a different way down the volcano. It was a steeper but direct path down to the carpark. 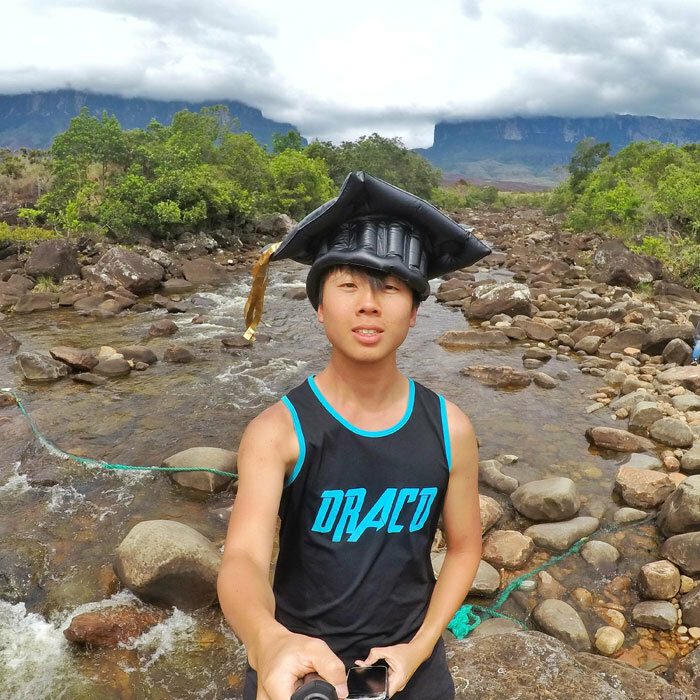 I pretended to surf down the gravel path and was down in no time. 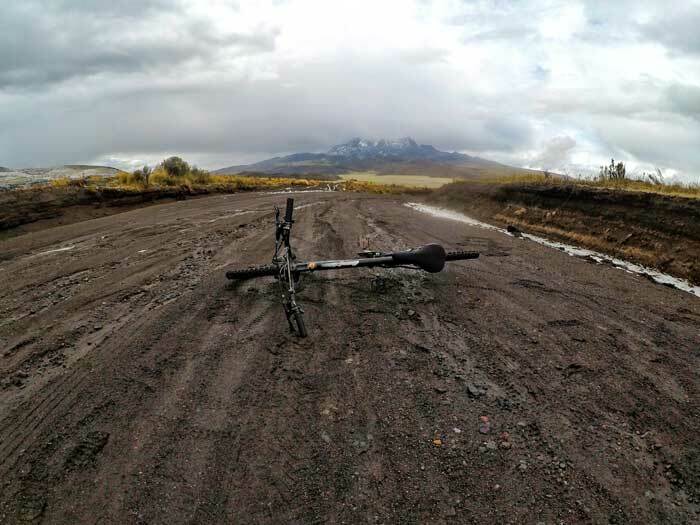 The second part of the tour is a mountain bike ride down the volcano. We set off after a short safety briefing and testing our bikes – down the rutted, bumpy road filled with potholes and cracks. 80% of the ride was pure squeezing on the brakes. It reminded me of cycling down the Death Road in Bolivia. It was the most scenic ride of my life. Volcanoes, lakes and greenery surrounded us everywhere. Horses grazed on the plains at the foot of the volcanoes. The chilling breeze brushed against my face. I love the feeling of adrenaline. 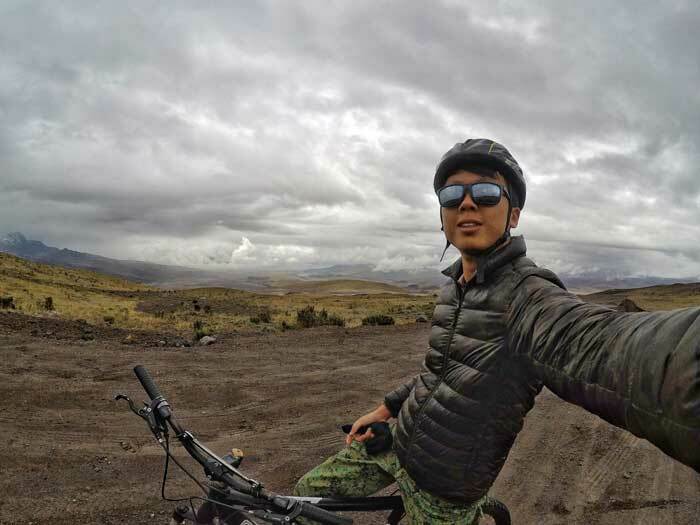 And cycling down one of the highest active volcanoes definitely fills you up with adrenaline. Traffic continued the other way, though on a weekday it wasn’t heavy. The bus always follows the group in case you needed a break. The only pedalling we did was at the final flat stretch to the Limpiopungo lagoon where hot tea and cookies awaited us. The tour went from anti-climatic to satisfying. I also stayed at Casa Carpedm in Quito, of the same company. It was the best hostel I stayed in 8 months of travel; in terms of comfort, service, and attention to detail. I had a private room 3 out of the 5 nights even though I paid for a dorm, and even had dinner one night with the owner Paul. 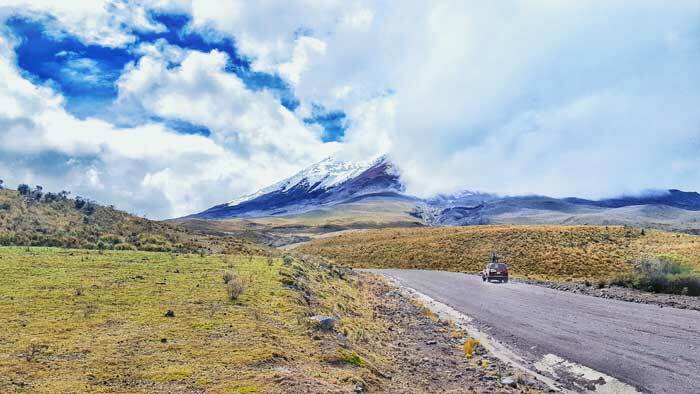 It is possible to get to Cotopaxi National Park independently. From Quito, head to the south terminal (Quitumbe) and take a bus towards Latacunga (base for Quilotoa Loop). Tell the driver you want to alight at the entrance of the national park. From there, either take a taxi or hitch a ride in. It is way cheaper although no food or bikes are included. If you go on a weekday, you might have to wait a long time to hitch a ride in. Personally, I dislike waiting in the cold wilderness for a long time. But hey, that’s just me.